Autoxloo is putting on a table Website Multimedia Tools. Suite of tools that combines videos, photos, video commercials, customer testimonials etc in a single seamless service. Software that is a role model of intuitive user interface design and use of cutting edge technology. The reasons are simple – ubiquity and convenience. Autoxloo offers a full range of multimedia functionality: text, graphics, audio, photo images, animation, full motion video, data etc. The combination of visuals, audio and video increases the speed of communication, invites visitors to explore and take simple actions to gain more information. Web 2.0 technology supports latest multimedia options online. As long as you are using Autoxloo’s Website Multimedia Tools, you can get your photo, audio or video edited on the fly. Website Multimedia Tools can generate leads, it all depends on who is leading. Manage your leads with Autoxloo’s lead management system. From your site, you have the ability to reach your largest traffic source and meet the needs of individuals, groups and communities of people. Creating a solid lead generation strategy will help you to build trust and capture the interest of your buyers before they get ready to contact sales. By showing testimonials you are able to attract customers to your dealership’s site where they observe the actions of others and then make the same choice that everyone else has made. Use Autoxloo’s Vehicle Video Converter to keep visitors from bouncing off your site with interesting, funny and informative content. Just check it out: background audio, speech to text, Video Library stored in your DMS and even email notification with Video Attachment. 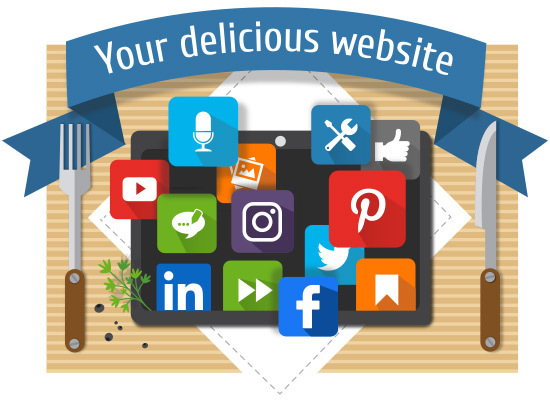 Enable your visitors to share what they have found on your site with others through social networking: Facebook, Twitter, Pinterest, LinkedIn etc. If you don’t want waste your time going down a list and cold calling. Produce more leads with Autoxloo’s proven lead conversion and you will see that most of your leads will have been turned into revenue faster. Engage these leads through relevant content and increase your ROI. Make visitors stuck with your site by creating a high quality multimedia website, the one that is unique, informative and visually pleasing. Multimedia Tools are powerful when used the proper way. We get that. You’re in the right place. Start building your site with Website Multimedia Tools now to skyrocket your lead conversion.